Mercer County Community College / Nursing Program (ADN):"The Associate Degree Nursing (ADN) program combines coursework in nursing and general education with clinical experiences in regional health care facilities under the supervision of college faculty members. The program is accredited by the New Jersey Board of Nursing and the National League for Nursing Accrediting Commission. Graduates are eligible to take the National Council Licensure Examination for Registered Nurses. Should the graduate wish to pursue a baccalaureate degree in nursing, credits may be applied in whole or in part in accordance with the policies of the accepting institution." Mercer University / Georgia Baptist College of Nursing:"Georgia Baptist College of Nursing of Mercer University offers undergraduate and graduate degrees in nursing. The undergraduate program is comprised of two tracks, both culminating in the Bachelor of Science in Nursing (BSN) degree and preparing graduates to continue their education at the master's level. Which track a student pursues is determined by her or his previous academic preparation. The graduate program is for registered nurses who have graduated from an accredited baccalaureate nursing program, are currently licensed to practice as a registered nurse in Georgia, and have a minimum of one year work experience as a registered nurse. The graduate program offers two areas of concentration. Graduate students may select either (1) nursing education or (2) acute/critical care nursing of the adult." Mercy College of Health Sciences / Division of Nursing (ASN, BSN):"The Associate of Science in Nursing (ASN) degree program leads to initial eligibility for the registered nurse licensing examination. Graduates are prepared to provide entry-level, holistic nursing care for diverse clients in structured settings." Mercy College of Northwest Ohio / Division of Nursing (ADN, BSN):"The associate degree in nursing (ADN) is a minimum level of education for technical nursing practice. Upon completion of the ADN, students are eligible to sit for State Board examination to practice as a registered nurse. Graduates of the Bachelor of Science in nursing program are eligible to sit for State Board examination to practice as a registered nurse. The baccalaureate nurse is prepared to plan, provide, and coordinate care for clients experiencing problems across the health-illness continuum and in diverse settings." Mercy Hospital School of Practical Nursing:"One-year practical nursing program, School year begins in August and ends in July each year, Financial Aid available if qualified (Pell Grants), MDCC science courses offered in the program, Excellent clinical facilities within Mercy Hospital, Dynamic and highly qualified faculty, Accredited by the National League for Nursing Accrediting Commission (NLNAC) and Florida State Board of Nursing. (FSBN)." Mercyhurst College - Northeast / Nursing Program (LPN, ADN):"The responsibilities of a registered nurse include assessment, planning, intervention, and evaluation. 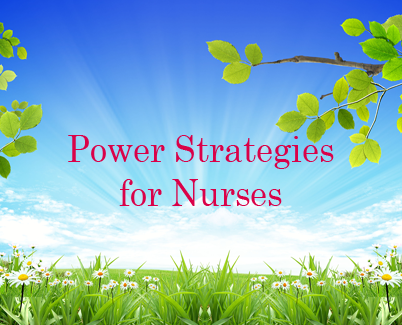 The nurse must communicate effectively with clients and members of the interdisciplinary team. Upon completion of the program, graduates are eligible to write the National Council Licensure Examination-RN (NCLEX-RN) for licensure as a professional registered nurse. Graduates will be prepared to work in various health care settings such as acute care hospitals, long-term care centers, ambulatory clinics, and home health care." Meridian Community College / School of Nursing (LPN, ADN):"The Associate Degree Nursing Program provides students with educational opportunities for personal and intellectual development and for a career to help meet the health care needs of the community.MCC's program prepares graduates for beginning staff level positions as registered nurses. A graduate receives an Associate of Applied Science Degree and is eligible to apply to take the National Council Licensure Examination for licensure as a registered nurse. This program is accredited by the Mississippi Board of Trustees of State Institutions of Higher Learning and by the National League for Nursing Accrediting Commission." Meridian Technology Center / Nursing Program (LPN):"The Practical Nursing Program curriculum is divided into three levels of instruction. Each level has objectives the student should achieve before moving to the next level of instruction. Each level has a clinical experience component, which is concurrent with classroom theory. Upon successful completion of the Practical Nursing Program, graduates may apply to take the National Council Licensure examination for Practical Nurses and use the title of LPN." Mesa Community College / Maricopa Nursing Program:"The Nursing Pathway provides multiple exit points for employment that begins with Nursing Assisting and continues to the Practical Nurse certificate and Registered Nurse degree program. Upon successful completion of the four semester curriculum, graduates receive the Associate of Applied Science degree in Nursing and are eligible for the National Council Licensure Examination for Registered Nurse (NLCEX)."